The Association for Pet Obesity Prevention (APOP) is committed to making the lives of dogs, cats, all other animals and people healthier and more vital. APOP was founded in 2005 by veterinarian Dr. Ernie Ward with the mission of developing and promoting parallel weight loss programs designed to help pet owners safely and effectively lose weight alongside their pets. PNA - Pet Nutrition Alliance. We call for the veterinary profession to adopt uniform nomenclature for canine and feline obesity. There is currently no universally-accepted definition of obesity in dogs and cats, and this lack of professional consensus has created confusion among veterinary professionals, industry stakeholders, and owners. This makes it challenging for veterinarians to provide clear messages to their clients about obesity and might explain why veterinarians rarely record the presence of obesity in the clinical records of their patients.1 We believe that adopting and widely publicizing a standard definition of obesity will raise awareness of the disease, and increase discussion and motivation to act within the profession with the ultimate goal of improving health of cats and dogs. Our recommendation is that the term obesity be defined as 30% above ideal body weight. While excess body weight (overweight and obesity) represents a continuum and any cut-point for onset of disease is somewhat arbitrary (see below), this definition correlates with the determination of obesity in humans using the standard metric such as body mass index (BMI) and abdominal circumference.2 It is also consistent and broadly supported by veterinary studies where there are associations with various comorbid diseases,3-5 functional impairment,6-11 and decreased quality of life.12,13 The most practical clinical measure of adiposity is body condition score (BCS, see below), and 30% above ideal weight is equivalent to 8/9 using the preferred 9-point system.14-17 However, defining obesity on the basis of ‘above ideal weight’, rather than on the basis of condition score, is preferable because it enables veterinarians to use other strategies to identify the onset of obesity precisely in addition to definition by BCS. For example, if a veterinary practice recommends routine body weight and BCS assessment throughout life, and such practices formally identifying and record the ‘healthy adult weight’ of a dog or cat (i.e. an early-adult-life bodyweight where BCS is ideal),18 weight gain could then be accurately quantified as a percentage change from the healthy adult weight, enabling the onset of obesity to be accurately determined. We urge the global veterinary community to adopt a universal Body Condition Score for dogs and cats of whole-integer, one-through-nine (1–9) scale. Many different body condition scoring systems have been suggested for estimating the adiposity of dogs and cats3,4,14-17,19-22 and, while they may be broadly comparable (for example a 5-unit system using half units is broadly equivalent to a 9-unit system), having different methods creates confusion. Not only is this problematic for veterinary professionals and owners when discussing obesity and health care recommendations, it can also lead to inconsistency in interpreting the results of scientific studies. In adopting a universal system, we believe that the 9-unit body condition score is preferable. This system has been more extensively validated than other systems, for example by comparing scores against precise measures of body fat mass using dual-energy X-ray absorptiometry, DEXA).14-17,22 It is also the system that has been recommended by the WSAVA Global Nutrition Panel.23 We recognize that other validated methods of determining adiposity have been developed for cats and dogs, such as using multiple zoometric measures.20,21 While we would not discourage their use, we believe that body condition scoring has many advantages most notably speed and simplicity, to ensure consistent use in veterinary practices. By adopting a universal BCS, we believe veterinary teams will be better able to interpret veterinary medical research, more consistently and accurately assess their patients’ body condition, and clearly communicate with colleagues and clients. Obesity is now a major health concern worldwide with published studies suggesting that up to 59% of dogs and cats are overweight,3,4,32 making obesity one of the most common medical disorders identified in veterinary practice.5,34 Recent evidence suggests a rapidly increasing prevalence35 and the fact that it is now a worldwide problem including developing countries.36 Particularly concerning is the current prevalence of obesity in growing animals, whereby approximately 21% of dogs are already overweight by 6 months of age.37 Obesity can reduce life expectancy,38 negatively impact quality of life,12,13 and is associated with various comorbidities.3,4, Obesity contributes to metabolic derangements,9-11,39 significant functional impairment (most notably respiratory, cardiovascular and renal function)10,11 and is a significant financial burden on owners.40 Thus, as with the condition in humans, the wealth of scientific data in cats and dogs to support the formal classification of obesity as a disease, and this is consistent with a position statement articulated by a group of international experts convened by the WSAVA One Health Committee.41 Obesity is further complicated by the fact that companion animals are unable to make diet and feeding choices, eliminating the complicating factor of personal accountability. By defining canine and feline obesity as a disease, regardless of exact cause, we believe both veterinarians and owners will be compelled to act. We also believe the designation as a disease will encourage the veterinary medical profession and industry to become more innovative and create solutions for this prevalent, yet often-neglected condition. Some have argued against obesity being classified as a disease on the basis that diagnostic criteria (such as BMI in humans and BCS in animals) are imprecise and flawed.27 They further argue that there is inconsistency in terms of when consequences of obesity are observed, such that two individuals with a similar degree of adiposity can have marked differences in comorbidities and overall health. They argue that obesity is instead a continuum and that applying an arbitrary definition of a disease state on top of this is unhelpful.27 While we agree both that there are flaws in methodology used to quantify fat mass and that consequences are unpredictable, we disagree that these issues invalidate the classification of obesity as a disease. Applying defined cut-points to a continuum is common across many chronic veterinary diseases, for example chronic kidney disease, where the staging of the International Renal Interest Society42 has received widespread acceptance. However, while the different stages are clearly demarcated by diagnostic cut-points based upon serum creatinine concentration, the presence of clinical consequences such as hypertension, proteinuria and uremic syndrome are inconsistent and variable. Similarly, the American College of Veterinary Dentistry has defined and described a disease classification system for the highly prevalent periodontal disease where the stages of periodontitis and furcation involvement of disease can vary between individual teeth of the same patient.43 Further, flaws in diagnosis do not invalidate the ability of many other veterinary conditions to be called diseases. For example, despite admirable attempts at standardization,44,45 the definition of inflammatory bowel disease remains unclear, and there is substantial inconsistency in interpretation among pathologists.46 Therefore, to be consistent with other chronic diseases with similar characteristics, we call on global veterinary medical organizations and governing bodies to join us in the formal classification of canine and feline obesity as a disease. 1. Rolph NC, Noble PJM, German AJ. How often do primary care veterinarians record the overweight status of dogs? J Nutr Sci 2014:3;e58. 2. Bray GA, Kim KK, Wilding J. Obesity: a chronic relapsing progressive disease process. A position statement of the World Obesity Federation. Obesity Rev 2017;18:715-723. 3. Lund EM, Armstrong PJ, Kirk CA, et al. Prevalence and risk factors for obesity in adult cats from private US veterinary practices. Intern J Appl Res Vet Med 2005;3:88-96. 4. Lund EM, Armstrong PJ, Kirk CA, et al. Prevalence and risk factors for obesity in adult dogs from private US veterinary practices. Int J Appl Res Vet Med 2006;4:177-186. 5. German AJ. The growing problem of obesity in dogs and cats. J Nutr 2006;136;1940S-1946S. 6. German AJ, Hervera M, Hunter L, et al. Insulin Resistance and Reduction in Plasma Inflammatory Adipokines After Weight Loss in Obese Dogs. Domest Anim Endocrinol 2009;37:214-226. 7. Tvarijonaviciute A, Ceron JJ, Holden SL, et al. Obesity-related metabolic dysfunction in dogs: a comparison with human metabolic syndrome. BMC Vet Res 2012a;8:147. 8. Tvarijonaviciute A, Ceron JJ, Holden SL, et al. Effects of weight loss in obese cats on biochemical analytes relating to inflammation and glucose homeostasis. Domest Anim Endocrinol 2012;42:129-141. 9. Tvarijonaviciute A, Ceron JJ, Holden SL, et al. Effect of weight loss in obese dogs on indicators of Renal function or disease. J Vet Intern Med 2013;27:31-38. 12. German AJ, Holden SL, Wiseman-Orr, ML, et al. Quality of life is reduced in obese dogs but improves after successful weight loss. Vet J 2012;192:428-434. 13. Yam PS, Butowskia CF, Chitty JL, et al. Impact of canine overweight and obesity on health-related quality of life. Prev Vet Med 2016;127:64-69. 14. Laflamme D. Development and validation of a body condition score system for dogs. Canine Pract 1997;22:10-15. 16. German AJ, Holden SL, Bissot T, el al. Use of Starting Condition Score to Estimate Changes in Body Weight and Composition During Weight Loss in Obese Dogs. Res Vet Sci 2009;87:249-254. 17. Bjornvad CR, Nielsen DH, Armstrong PJ, et al. Evaluation of a nine-point body condition scoring system in physically inactive pet cats. Am J Vet Res 2011;72:433-437. 18. German AJ. Obesity prevention and weight management after loss. Vet Clin N Amer 2016:46:913-929. 19. Scarlett JM, Donoghue S. Associations between body condition and disease in cats. J Am Vet Med Assoc 1998;212:1725-1731. 20. Witzel AL, Kirk CA, Henry GA, et al. Use of a novel morphometric method and body fat index system for estimation of body composition in overweight and obese dogs. J Am Vet Med Assoc 2014;244:1279-1284. 21. Witzel AL, Kirk CA, Henry GA, et al. Use of a morphometric method and body fat index system for estimation of body composition in overweight and obese cats. J Am Vet Med Assoc 2014;244:1285-1290. 22. Flanagan J, Bissot T, Hours M-A, et al. Success of a weight loss plan for overweight dogs: The results of an international weight loss study. PLoS ONE 20017;12: e0184199. 23. WSAVA Global Nutrition Committee. WSAVA global nutrition guidelines. Available at: http://www.wsava.org/WSAVA/media/Documents/Guidelines/WSAVA-Global-Nutritional-Assessment-Guidelines-2011-final.pdf. Accessed March 12, 2018. 24. Kopelman PG. Obesity as a medical problem. Nature 2000;404: 635-643. 25. Kyle TK, Dhurandhar EJ, Allison DB. Regarding obesity as a disease. Endocrinol Metab Clin N Am 2016;45:511–520. 27. Muller MJ, Geisler C. Defining obesity as a disease. Eur J Clin Nutr 2017;71:1256-1258. 28. Vallgarda S, Nielsen MEJ, Hansen AKK, et al. Should Europe follow the US and declare obesity a disease? : a discussion of the so-called utilitarian argument. Eur J Clin Nutr 2017;71:1263-1267. 29. Faber K. Nosography in Modern Internal Medicine. Paul B. Hoeber, Inc.: New York, 1923. 30. Garvey WT, Garber AJ, Mechanick JI et al., for the AACE Obesity Scientific Committee. American Association of Clinical Endocrinologists and American College of Endocrinology consensus conference on obesity: building an evidence base for comprehensive action. Endocr Pract 2014;20:956-976. 31. Garvey WT, Mechanick JI, Brett EM et al. Reviewers of the AACE/ACE Obesity Clinical Practice Guidelines American Association of Clinical Endocrinologists and American College of Endocrinology Comprehensive Clinical Practice Guidelines for Medical Care of Patients with Obesity. Endocr Pract 2016;22 (Suppl):1-203. 32. Courcier EA, Thompson RM, Mellor DJ. An epidemiological study of environmental factors associated with canine obesity. J Small Anim Pract 2010;51:362-367. 33. Courcier EA, O’Higgins R, Mellor DJ, et al. Prevalence and risk factors for feline obesity in a first opinion practice in Glasgow, Scotland. J Feline Med Surg 2010;12:746-753. 34. Brooks D, Churchill J, Fein K, et al. 2014 AAHA Weight Management Guidelines for Dogs and Cats. J Am Anim Hosp Assoc 2014;50:1-11. 35. BANFIELD® Pet Hospitals. Obesity in dogs and cats – state of pet health report [cited 24 November 2017]. In: Obesity in dogs and cats – state of pet health report. Available at: https://www.banfield.com/state-of-pet-health/obesity. Accessed March 16, 2018. 36. Mao J, Xia Z, Chen J, Yu J. Prevalence and risk factors for canine obesity surveyed in veterinary practices in Beijing, China. Prev Vet Med 2013;112:438-442. 37. German AJ, Woods GRT, Holden SL, et al. Dangerous trends in pet obesity. Vet Rec 2018;182:25. 38. Kealy RD, Lawler DF, Ballam JM, et al. Effects of diet restriction on life span and age-related changes in dogs. J Am Vet Med Assoc 2002:220;1315-1320. 39. German AJ, Ryan VH, German AC, et al. Obesity, its associated disorders and the role of inflammatory adipokines in companion animals. Vet J 2010:185:4-9. 40. Bomberg E, Birch L, Endenburg E, et al. The financial costs, behaviour and psychology of obesity: a one health analysis. J Comp Pathol 2017;156:310-325. 41. Day MJ. One health approach to preventing obesity in people and their pets. J Comp Pathol 2017;156:293-295. 42. International Renal Interest Society. IRIS staging of CKD. Available at: http://www.iris-kidney.com/guidelines/staging.html. Accessed March 12, 2018. 43. Wolf HF. Rateitschak KH et al. Color atlas of dental medicine: periodontalology, 3rd ed. Stuttgart: Georg Thieme Verlag, 2005. 45. Day MJ, Willard MD, Hall EJ, et al. Endoscopic, Biopsy, and Histopathologic Guidelines for the Evaluation of Gastrointestinal Inflammation in Companion Animals. J Vet Intern Med 2010;24:10-16. 46. Willard MD, Moore GE, Denton BD, et al. Effect of tissue processing on assessment of endoscopic intestinal biopsies in dogs and cats. J Vet Intern Med 2009;24:84-89.
helping pets and people live healthier lives. Dr. Ernie Ward is an internationally recognized veterinarian known for his work in the areas of general small animal practice, life extension and longevity, practice management and leadership, long-term medication monitoring, special needs of senior dogs and cats and pet obesity. He has authored three books, including “Chow Hounds: Why Our Dogs Are Getting Fatter.” Dr. Ward has been a frequent guest on television programs and served as the resident veterinarian for the “Rachael Ray Show” from 2007 until 2014. He has over 100,000 followers on Facebook, and serves over 20,000 on his Twitter accounts, Off Label Veterinary News, YouTube vlog, and popular weekly podcast, Veterinary Viewfinder (iTunes, Android, Stitcher, TuneIn), and is a highly sought after veterinary media expert. Dr. Steven Budsberg is a Professor and Director of Clinical research at the University of Georgia College of Veterinary Medicine and past-President of the American College of Veterinary Surgeons. He has been awarded numerous teaching and research awards including: Pfizer Animal Health Award for Research Excellence, 1995; Creative Research Medal – University of Georgia Research Foundation, 1996; AVMF-AKC Excellence in Canine Research Award, 1997; Distinguished Postdoctoral Veterinary Alumnus Award, Michigan State University College of Veterinary Medicine, 1998; AVMA – Fido Award, 2004; Charles Dobbins Award for Excellence in Service, University of Georgia, 2005; Pfizer Animal Health Award for Research Excellence, 2010. Dr. Budsberg has extensive interest and experience in the areas of Canine Gait Analysis, Non-steroidal Anti-inflammatory Drugs and Evidence Based Medicine applications in Orthopedics. Dr. Budsberg is a Boston Marathon qualifier and avid runner and triathlete. Dr. Julie Churchill graduated from Michigan State University (B.S and DVM.) She attended the University of Georgia for her small animal internship in medicine and surgery. She then completed combined residencies and her PhD program in small animal internal medicine and clinical nutrition at University of Minnesota. Dr Churchill is a Diplomate of the American College of Veterinary Nutrition and currently an Associate Clinical Professor, section chief and director of the Nutrition Service at the University Veterinary Medical Center. Dr. Churchill is passionate about all aspects of small animal clinical nutrition including the role of nutrition in maintaining wellness and preventive care, obesity prevention and treatment, the nutrition needs of geriatric patients, nutritional management of kidney diseases, and critical care nutrition. She is also interested in improving ways of client communication to successfully integrate nutrition into the patient care of every patient. She worked on the task force to develop the AAHA guidelines for weight management. She serves on the board of the Pet Nutrition Alliance (PNA) as well as the educational tools committee of PNA working to development of a” Go-to” website for credible nutritional information for veterinary practice teams and consumers. Dr Churchill also serves on the Education Committee for the American College of Veterinary Nutrition. Alex German holds the position of Royal Canin Professor of Small Animal Medicine at the University of Liverpool. He is a 1994 graduate of the University of Bristol and, after spending two years in mixed practice, returned to Bristol to undertake a PhD in mucosal immunology, and then a residency in small animal internal medicine. He is a Diplomat of the European College of Veterinary Internal Medicine, a Royal College of Veterinary Surgeons Recognised Specialist in Internal Medicine, and a Senior Fellow of the Higher Education Academy. His clinical and research interests include comparative obesity biology, ageing, preventing chronic disease, gastroenterology, and evidence-based veterinary medicine. For 14 years, he has run the Royal Canin Weight Management Clinic at the University of Liverpool. This specialist clinic aims to improve the quality of life of all overweight pets through clinical excellence, research and education. Dr. Mark Peterson graduated from the University of Minnesota in 1976, moved to NYC to do an internship and medical residency at The Animal Medical Center, and then completed a post-doctoral fellowship in endocrinology and nuclear medicine at The New York Hospital-Cornell Medical Center and the AMC.Following his training, Mark stayed on as head endocrinologist at the AMC for over 30 years. In 2009, Mark opened the Animal Endocrine Clinic, a specialty referral hospital devoted exclusively to the diagnosis and treatment of dogs and cats with endocrine disease, where he now cares for his endocrine patients. Over the last 35 years, most of Dr. Peterson’s clinical and research efforts has been directed toward advancing our understanding of endocrine disorders of the dog and cat, especially diabetes mellitus, thyroid and adrenal disease. He has published more than 450 journal articles, book chapters, and research abstracts. With more than 300 lecture presentations to his credit, Dr. Peterson is a frequent speaker at veterinary colleges and scientific seminars both in both the United States and abroad. Dr. Lester Mandelker is a board certified specialist in Feline and Canine Practice. 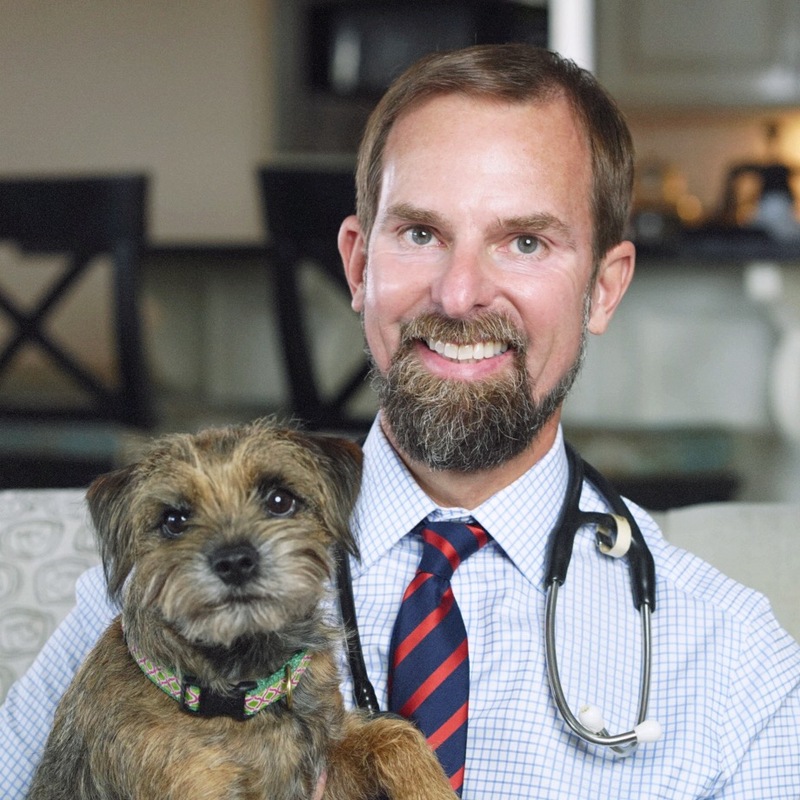 He is a nationally recognized veterinarian and an expert in veterinary pharmacology, pet supplements and antioxidant therapy and pet health care. Dr. Lester Mandelker is the owner and director of Community Veterinary Hospital located in the Clearwater and Largo area of Pinellas County in Florida. He also runs The Paradise Pet Motel located on the premises. Dr. Mandelker is the only board Certified Veterinary for both Dogs and Cats in the Belleair, Clearwater, Largo and Seminole areas of Pinellas County Florida. He has practiced for over 35 years and has been recognized twice among the nation’s top veterinarians. He practices on all dogs, cats and exotic pets. Dr. Mandelker also consults with other veterinary specialists online about complex cases through the Veterinary Information Network (VIN). He is also a competitive tennis player. Dr. Lund joined Banfield in 2006 as Senior Director of Research. Her professional experience has included work in academia, industry, and public health. In addition to her DVM degree, Dr. Lund has a MPH and a PhD in epidemiology/informatics. Banfield’s Applied Research & Knowledge team is dedicated to the generation and dissemination of new knowledge and understanding in support of the practice of evidence-based veterinary care. Dr. Lund’s PhD thesis research focused on the development and evaluation of a model for diagnostic surveillance in companion animal veterinary practice using computerized medical records. Over the last 20 years, she has been active in epidemiologic research on risk for disease in companion animals, specifically overweight and obesity, as well as co-morbidities associated with excess body condition. Current research at Banfield focuses not only on generating new knowledge to support optimal veterinary care but enlightened dissemination of this information to all stakeholders in the veterinary profession, i.e., veterinarians, paraprofessionals, and pet owners. Dr. Phil Zeltzman is a traveling, board-certified veterinary surgeon near Allentown, Pennsylvania. He performs specialized surgery on dogs, cats, and exotic animals. Dr. Zeltzman is co-author of “Walk a hound, lose a pound” (Purdue University Press, May 2011) with leading nurse researcher Rebecca Johnson. This book is dedicated to the prevention and treatment of canine and human obesity. He has published numerous articles in national and international veterinary journals. He is also a prolific speaker internationally. He is a contributor to The Bark, Veterinary Practice News and Dog Fancy. His interests include all aspects of soft tissue, orthopedic, cancer, reconstructive and neuro-surgery, as well as physical therapy and emergency cases. He has a strong interest in the prevention and treatment of overweight and obesity. Dr. Zeltzman is a passionate skier and a ski instructor, but was forbidden to ski again after a hip fracture.